It is not fashionable, these days, to emphasize or even mention God's judgment. Obviously it's much more comfortable to dwell on His love and the benefits of living life under His direction. However, the Bible includes both. Today's reading — a story Jesus told about a rich man and a poor man named Lazarus — doesn't tiptoe around the fact that the decisions we make in life will be judged and will impact our eternal destination. The rich man was in Hades (hell), not because of his wealth, but because of the way he used it. My Bible's footnote to verse 25 says: "Wealth does not automatically condemn one to hell, nor does poverty in this life guarantee eternal joy. One's destiny depends upon one's relationship to God, which is often reflected in the attitude toward material possessions" (New Spirit Filled Life Bible, p. 1422). One of the aspects of God's judgment that comes across in Jesus' story is separation. Proud sinners are banned from God's sight (Psalm 5:5). Ezekiel speaks of "rebels and those who transgress against Me" as being kept out of the land of Israel (Ezekiel 20:38). Jesus speaks of the wheat and the tares ("weeds") coexisting until harvest time when the reapers will separate out the tares to be burned (Matthew 13:30, 49). Jesus also predicts a time of global judgment: "All the nations will be gathered before Him, and He will separate them one from another" (Matthew 25:32,46). In our focus verse, the speaker, Abraham, describes a gulf of separation between Hades and heaven. What is the great separator? 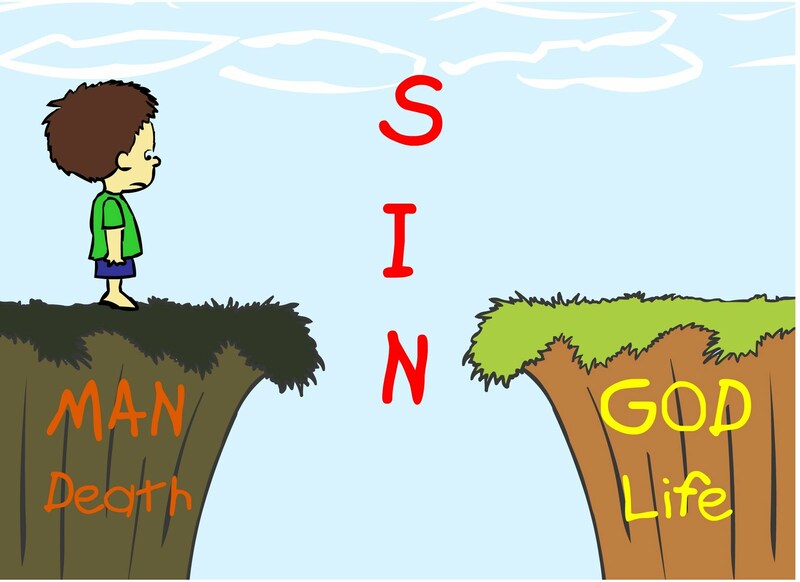 Sin. For even Jesus, the sinless son of God was separated from His Father when He took on Himself the sins of the world. Sin not covered by Jesus' blood, separates those who have committed it from God and a future in heaven (Revelation 22:15). This separation stands in sharp contrast to the relationship that is the essence of eternal life. Mark Buchanan explains it so well in the "More" section of yesterday's devotion. The dreadful pain we feel at the death of a loved one is only a foretaste of how horrible would be a permanent separation from God and all things good. Let's live wide awake to the reality of God's coming judgment of separation and choose relationship while we can. PRAYER: Dear Jesus, thank You for bridging the gap of separation between sinful me and God. Amen.